Was The Ultimate Fighter 20 Cast Portrayed Fairly? The Resurrection Fighting Alliance has a problem keeping its champions within the promotion, but the company counts this fact as a badge of honor. 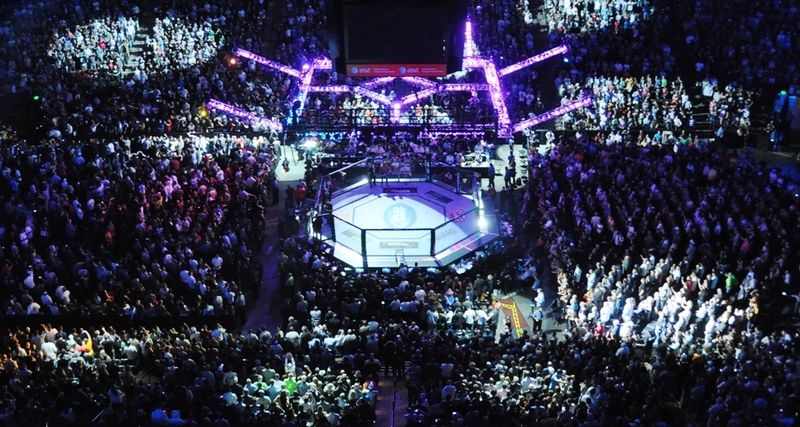 It means that the promotion is living up to its goal of producing fighters who go on to compete in the UFC. The last time Andrew Sanchez fought for the RFA middleweight gold, he came up short and then watched his opponent, Kevin Casey, convert the win into a UFC contract. 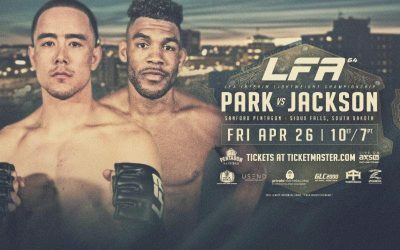 Now, Sanchez gets another crack at the belt (and what would seem to be a guaranteed UFC berth) when he takes on RFA newcomer John Poppie in the headlining bout of RFA 28. The 27-year-old Sanchez entered the RFA after a 3-1 run on the regional circuit. 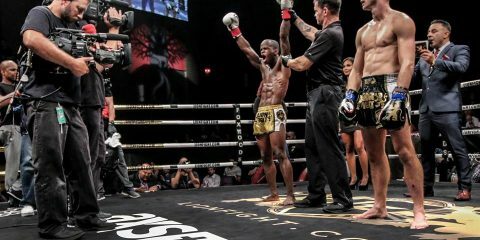 “El Dirte,” who began his pro career in 2012, won his first two RFA fights before clashing with Kevin Casey for the vacant RFA middleweight title. Casey dispatched Sanchez via knockout at the midway point of the first round and quickly departed for the UFC. Sanchez, meanwhile, spent a year on the sidelines before returning in June to defeat Clinton Williams. Sanchez was a star wrestler in college, where he claimed two NAIA national championships and four-time All-American honors. He has four wins via strikes and two victories by way of submission. Sanchez has spent time at Finney’s HIT Squad, but he’s been training more recently with Renzo Gracie’s team and the K-Dojo Warrior Tribe. Poppie has a journeyman’s resume through just seven fights. Previously a light heavyweight, Poppie won the Midwest Cage Championship middleweight crown earlier this year. 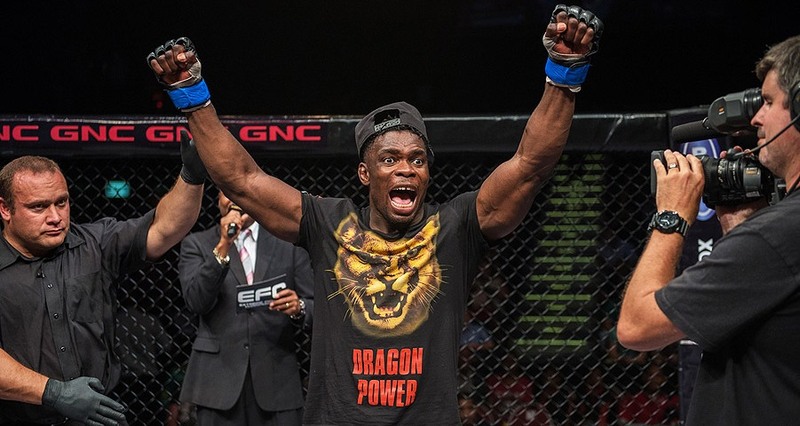 He appeared on season 19 of The Ultimate Fighter, but suffered a submission loss to Josh Clark in the preliminary fights and didn’t make it into the TUF house. Officially, Poppie has only lost one fight. The defeat came by way of TKO against UFC veteran Eric Schafer, by far the most accomplished opponent on Poppie’s resume. Poppie now trains with Schafer. The TUF alum has posted three submission wins and two finishes via strikes. Poppie also has a background in collegiate wrestling. 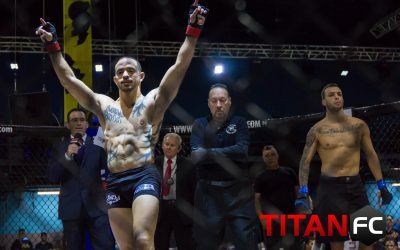 Sanchez’s name brings more recognition, but Poppie, despite fighting for such varied promotions as Alaska Fighting Championship and Chosen Few FC, has actually seen tougher competition. In addition to the loss against Schafer, Poppie has scored a TKO stoppage of Will Dicke and a five-round decision over Rakim Cleveland. Poppie had trouble defending against the takedown in his TUF fight. He’s going to find the same struggles against Sanchez, who is sure to shoot for the legs and get this fight to the mat. Sanchez isn’t a grinding wrestler, though. He’ll hunt for the finish throughout this five-round affair. Poppie won’t be an easy out, and he could even threaten to submit Sanchez with a choke, but “El Dirte” will eventually prove to be too much for Poppie. He’ll rain down the ground-and-pound for the TKO finish to claim the gold. Watch Event: Live main card on television networks SuperSport World of Champions (Africa), Fight Now! TV (U.S., Canada and Caribbean), Abu Dhabi TV (Middle East and North Africa), Fight Sports (Europe and Asia) and ESPN Player (Europe). What’s on the menu for the 42nd effort from South Africa’s Extreme Fighting Championship? How about a “Chef” defending his title belt? Bad puns aside, it is time for that “Chef,” EFC light heavyweight champion Norman Wessels, to return to the Hex to defend his title. The challenger is Dalcha Lungiambula, an undefeated fighter with limited experience. It’s a common recipe (damn, there I go again) for the promotion, but it’s the same formula that has allowed the EFC to churn out homegrown prospects like Demarte Pena. Wessels has spent his entire professional career, beginning with his 2009 pro debut, under the EFC banner. He got out to a 4-1 start, suffering his only loss via TKO against Ruan Potts. In his sixth fight, Wessels challenged for the light heavyweight title, but he came up short with a TKO loss to J.P. Joubert. 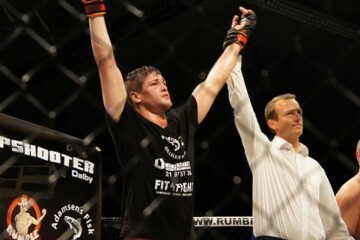 Wessels rebounded with a win and then claimed the light heavyweight belt by defeating Gideon Drotschie via TKO. The Fightfit Militia product has a background in boxing and Thai boxing. He has never gone the distance in a fight, with two stoppage losses, three victories by way of strikes and three wins via submission. Dragon Power’s Lungiambula’s nickname — “Champion” — conveys the lofty expectations for the undefeated up-and-comer. The Congo native is also a career-long member of the EFC roster. He entered the fold in mid-2014 with a 59-second submission finish of Roelof Scheepers and posted another first-round submission victory in his sophomore outing before moving on to face more experienced competition. 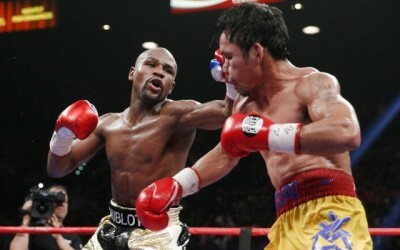 His winning ways continued, but he wasn’t able to get the stoppage in his third and fourth fights. The 30-year-old is a decorated Brazilian Jiu-Jitsu and judo practitioner with a well-rounded base. Wessels will have his hands full in this fight. 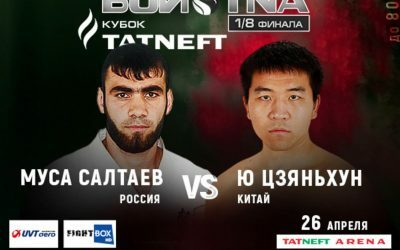 Despite his own submission prowess, he’s probably going to want to keep this fight on the feet against an accomplished grappler like Lungiambula. That’s easier said than done, however. The Dragon Power fighter can be an absolute beast with his takedowns, using his strength to scoop up opponents and slam them to the mat, and using his judo skills to take opponents off balance and throw them to the ground. Whatever method he chooses, Lungiambula can be very effective in scoring the takedown. That’s bad news for Wessels, a boxer by nature who tends to fight in a very upright stance. Wessels has a tendency to get sloppy in the clinch and end up as the victim of reversals as he’s trying to drag his opponent to the ground. Wessels has had the good fortune of fighting equally sloppy ground fighters who allow him to scramble back to top position even if he ends up on his back when the fight first hits the canvas. He can’t count on this against this challenger. If Wessels takes the same sloppy approach against Lungiambula, he could be doomed to a quick finish or a one-sided drubbing. Experience is the one thing Wessels really has going for him. He’s been in the cage with the likes of the aforementioned Potts, who struggled in the UFC but had previously done quite well as an EFC heavyweight, and Drotschie, who was undefeated before encountering Wessels. 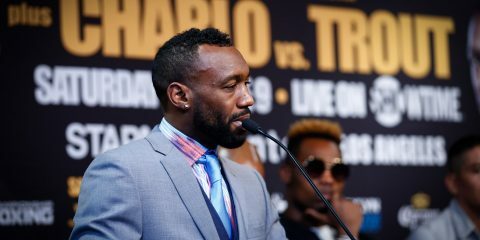 Lungiambula is undefeated, but he has only seen four fights in his career and only one clash with a fighter whose record was equally as strong as his own (or even above the .500 mark). Lungiambula has looked like a juggernaut and, as his name suggests, a champion, but he has a lot left to prove. Pancrase has a lot of key fights on the docket for its 269th offering. The promotion will determine its Neo-Blood tournament winners in several different weight classes, including the 115- and 125-pound divisions. The lineup also features undefeated prospects Takashi Sato and Kento Kanbe in separate bouts, tosses in accomplished veteran flyweight Mamoru Yamaguchi and adds some American presence with the inclusion of Bellator veteran Eric Prindle. However, the real jewel in the lineup is a featured featherweight bout between Isao Kobayashi and Will Chope. Kobayashi compiled a 15-1-4 record as a lightweight, capturing the lightweight King of Pancrase crown along the way. Then the highly touted prospects set his sights on the featherweight division. He made his 146-pound debut against former Shooto featherweight kingpin Takeshi “Lion” Inoue and emerged with a unanimous decision win. It hasn’t all been smooth sailing for the 26-year-old. His next outing, which took place at Deep’s 2014 New Year’s Eve show, ended in a decision loss to Kazunori Yokota. It marked only the second defeat of the young up-and-comer’s career. He was able to bounce back with a victory over Marlon Sandro in his return to Pancrase. The southpaw has a background in judo, but he tends to victimize his opponents with his fists en route to knockout and TKO victories. The Sakaguchi Dojo product launched his pro career in 2008 as a 19-year-old. He won the 2009 Pancrase Neo-Blood lightweight tourney and the 2011 Pancrase Lightweight Grand Prix. His career highlights also include a victory over former ONE FC featherweight champion Koji Oishi and a draw against UFC veteran Jorge Patino. Chope has had to overcome several setbacks in competition — he started his career by going 1-4 over his first five fights — and personal demons outside the arena that led to his dismissal from the UFC roster. Still just 24 years old, Chope made his pro debut in 2010 and suffered stoppage losses in his first four defeats. He turned the corner after his slow start and went 18-1 over his next 19 fights. His only loss in that span was another finish, this time via knockout against Ev Ting. His overwhelming winning percentage in that stretch was enough to earn him a ticket to the UFC, but he lost his debut to Max Holloway. 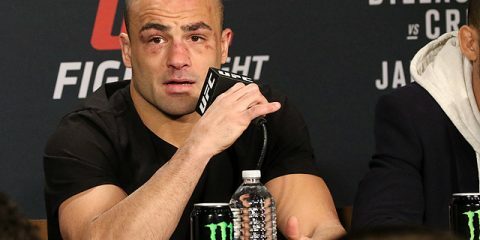 He was to return against Diego Brandao, but his contract was terminated on the day of the fight after his history of domestic violence was revealed. Ever since his release, Chope has attempted to demonstrate that he’s a rehabilitated man while also continuing to win a large majority of his fights. Chope did stumble in his first post-UFC outing, losing a decision for the first time in his career, but he rebounded with five straight wins to set up what is essentially a title eliminator against Kobayashi. Chope has had to face a lot of frustration in his career. He reached the pinnacle of the sport before his past demons cost him the opportunity. He’s seen his most high-profile fights crumble due to factors both in and out of his control. He was slated to fight Rodolfo Marques Diniz at a Diamond Fight event in 2014, but the event was canceled. 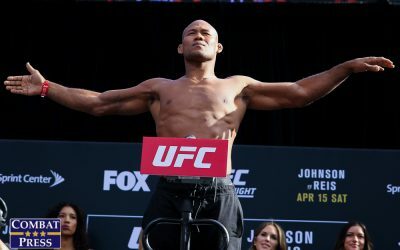 Most recently, he was expected to clash with former WEC champion Miguel Torres in a featherweight grand prix semifinal bout for the Rebel Fighting Championship promotion, but Chope failed to make weight and the fight was scrapped. That leaves this fight against one of Japan’s biggest prospects. Chope, a 6-foot-4 featherweight, will tower eight inches over his much shorter foe. The Juggernaut Fight Club product started his MMA career after training in Thailand and has competed primarily in striking arts such as boxing and Muay Thai, but his mixed martial arts resume highlights his proficiency on the ground, where he has submitted 16 opponents. Chope may have a massive height (and, most likely, reach) advantage over his Japanese counterpart, but the American’s biggest strength in this contest is his grappling attack. Kobayashi is a wild brawler who tends to be most comfortable while on his feet. If Chope can take the Sakaguchi Dojo fighter out of his comfort zone, then the UFC veteran stands a good chance of picking up the win. Chope’s history of stoppage losses is troubling, though. He was knocked out by Ting and suffered TKO losses at the hands of Holloway and the unheralded Sylvain Bynum. His chin is suspect, and Kobayashi happens to have a list of eight victims who have met their end courtesy of his fists. If Chope doesn’t protect his chin to the utmost, he could count himself as victim nine once he regains his senses. It’s a really competitive fight, and quite possibly holds the potential to be one of the more entertaining and intriguing contests for Pancrase in recent memory. It’s a tough call. Chope has been inconsistent throughout his career, but Kobayashi’s two losses and four draws are a sign that he isn’t always a dominant force either. Chope’s reach in the stand-up and his savvy on the mat could be too much for Kobayashi, who loses by either a decision or a late submission.